One of the greatest ways to be a part of saving the Hauraki Coromandel (again) is to donate – preferably as a sustaining donor (that is, set up an AP, weekly, fortnightly or monthly, for whatever you can afford). Making a regular donation to us is one of the most helpful ways of supporting our work, as it gives us some stability of income. 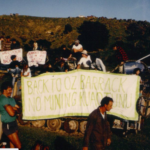 We are an entirely not for profit group, and we rely on the contributions of others who want to help to protect our beautiful corner from mining! You can go ahead and set it up today (Coromandel Watchdog of Hauraki # 38-9006-0733863-00, reference: donor). Don’t forget to email us if you also want to become a member. Another great way to help is to come on board – join our committee and help us to get this done! Again, an email is all it takes. We move meetings around the area, and often have meetings via Zoom to save on travel! And of course, never underestimate the power of letter writing – especially to our politicians! They need to know what will get the votes – and what won’t. Remember – undermining us leaves a toxic legacy just as open cast does – tailings, heavy metal leaching, unstable geography, water pollution (of aquifers, as well as above ground! 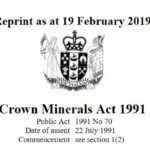 ), industrialization of our precious landscapes, our other industries compromised, both physically but also in the ‘minds eye’ – the unique, famous Hauraki Coromandel riddled with tunnels leaking heavy metals into our coast, trucks coming and going, not quite the image we have now!